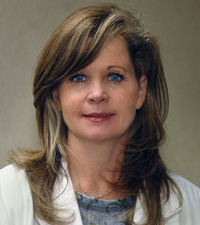 Kathy has been working with Dr. Fleckner for more than a decade. She is a highly experienced and dedicated professional. Her many responsibilities include the smooth operation of his medical practice. She will try to help you in any way she can. Please call the office to make an appointment. If you are unable to keep your appointment, please call us as far in advance as possible so we may use that time to see another patient in need of care. Immediate appointments are available for urgent problems. Please bring a list of all the medications you take at your first appointment. In addition, bring the name and address of your primary care doctor. Bring all of your insurance information. It is recommended that someone come to the appointment with you to drive you home, or you should schedule a car service. If your eyes are dilated for the eye exam, it will be difficult for you to drive yourself home. Please request all prescriptions and authorizations for renewals between 10:00am - 5:00pm, Monday to Friday, when we have access to your records. Renewals requested at other times will be filled only for extreme or emergency circumstances. Dr. Fleckner's courteous staff will assist you in any way they can. Please call (516) 739-5905 or (718) 454-7700 if you have any questions, notice a sudden change in your vision, or would like to schedule an appointment on Long Island or in Queens.